Fastsource Limited is a family owned and operated business formed in 1990 by Jean and Keith Blasket continuing the family line with Nicola and Keith as second generation management. 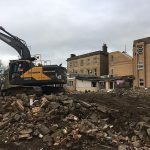 Over the years we have supplied various civil engineers and landscapers with haul and tip disposal, general aggregates and soils whilst at the same time offering subcontract services to builders and developers with demolition, remediation and earthworks projects throughout the Yorkshire region. From conception to completion we strive to offer both a competitive and reliable service to all our clients forming solid working relationships and repeat business. 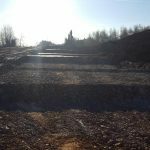 We can offer full Auto-CAD volumetric assessment of your site prior to commencing works to provide you with the knowledge of what you are looking to undertake prior to commencing works. 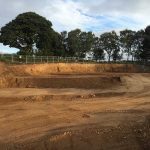 Lump sum or re-measure we are able to demolish, process and remediate your site ready for the ground works to commence at an engineered level. 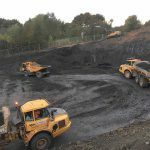 Additionally we operate our own recycling facility at Calder Vale Road, Wakefield, processing recovered soils and hard material into certified products, inline with WRAP specification such as MOT Type 1, 6f5, crusher run and topsoil. If you feel we have something to offer, we would welcome the opportunity to discuss your needs.